Starbucks Corporation is a renowned American company, producing coffee for its global market. Headquarter of this coffeehouse chain is located in Seattle, Washington. This chain of coffee company has its branches in other countries also, like Japan, South Korea, China, Philippines, Taiwan, Thailand, Canada, etc. The company was originally established in Seattle in 1971, as a local retailer and roaster of coffee beans. Initially, the operations started as 'Pequod', following the name of it's chief mate and used to sell only roasted coffee. From 1990 onwards, Starbucks started its venture to conquer the world, opening its stores in major countries around the world. There are currently 9 consumer reviews about Starbucks available. Share your review. Hello, I am an avid coffee drinker, preferable, STARBUCKS. My younger brother gets so mad at me for buying your coffee; i personally find him hilarious. My problem, the stand you took on guns in the STORE. You should have stayed out of it. If i am visiting starbucks to enjoy a cup of coffee and relax, I do not want to encounter a white person who does not like me because of the color of my skin holding a gun. There is so much going on in the country. We are quick to call China a communist country and Every Middle East person/s is a terrorist. What have we become? Are we in the USA that different from China or the Middle East? We may take a different approach, but are we? First of all I want to thank you for taking the time to read this series matter. I have been a loyal customer service for over 20 years. I spend almost $5.000 a year. But after today, I am overwhelm and discussed of the way I been treated. I have two witness of this serious illegal matter. The incidident happened at the Barranca store off the 10 freeway in Covina. I have been going there for a few months when recently they transfer this new supervisor by the name Lorenzo. I am so disgusted how Starbucks hires these kind of people; he started yelling at me and treating me like if I was a child- when the store closes. Again, I been going there as a loyal customer for months so I know when the store closes. Then today August 27 ,2013. I had two clients , with me. As I purchase my drinks for my clients. I always, I give my card to every one I meet. Then this employee(Lorenzo) comes to during my meeting and ask to speak to me and I told him no that I am working. Then suddenly he start yelling at me that I should not give my business card to the males barista - that I ask them for lunch and all kinds of slanders accusations. Not realizing that when I give my cards I am always with at witness. When he finish yelling at me in front of all the other customers in the sitting area and my two clients I had with me. One of my clients got up and she left. I was ready t cry as a man- I have never been so painfully hurt . I have never been so humiliated in my life. Here my self a professional been treated by a high school kid who pays his pay to yell at me in front of 5 witnesses. Afterwards ,when closing time I walked to the cashier and asked for the corporate number and the girl who I know and great customer service - she makes me feel at home they all call me by name gave me the corporate number . Then he found out that I asked for the corporate number and he started making sexual accusations about me- again - I was so humiliated - been slander my name and this person does not know me. Yet Lorenzo keep yelling about some sexual comments. I left and my client that was with me was disgusted about what happened at Starbucks Barranca , California. I WILL BE GETTING LEGAL ADVICE . I AM DISCUSTED AND SO HUMILIATED , OF THE SEXUAL COMMMENTS . EVEN MY CLIENTS WERE DISCUSTED OF WHAT OCCURED. I EXPECT A CALL FROM YOUR CEO OR LEGAL DEPARTMENT OF THIS SERIUS MATTER. This review is not about the product. It is about the policy. A few weeks ago the CEO/President of Starbucks stated that Christians should shop else where. I was deeply offended by this comment. Then this morning I saw the story in California about the woman who was switching the OJ for poisoned OJ. The first thing that came to my mind is "If you take God out, then Satan comes in". Look at our history in the USA, when God was first we flourished, now people like you and the politicians have taken God out....well you can see the shape we're in. In short, I will no longer 'shop' at Starbucks....As a christian I will support other companies. I can't get an answer to a simple question about my starbucks rewards debit card. They don't respond to email nor if you don't have a "code" they don't allow a phone call. I've lived in Seattle for 8 years and I've dranked coffee since I was a child. Starbucks coffee is one the best I've had. My complaint is in regards to two store locations which are pike and 3rd, Pike place Market.The bathroom have been out of order for over a month at the first location,Sorry does'nt cut it when you've got to go amd search for a near by bathroom by. The store is always busy with never ending customers standing in line waiting to be served.Question for you,where does your employees go when they need to use the bathroom.The other store that is located at pike street market don't have a bathroom.I guess it's pretty hard to invest in a plumer to repair the problem or build one. 22/2/2013 Sanya Dadonghai, China Hi, I am not sure where this email will go to, maybe Shanghai maybe direct to Sanya. I live and work in Sanya and many foreigners want feedback, "what is Stars like at Summer Mall"--- me being the only one that frequently goes there fo coffee....PEACE and QUIET...more coffee maybe a cake and met with other foreigners. The feedback! 1.No internet and it has been this way fr weeks...sure there is internet but only in the front section right by the counter! Why? What take Starbucks International might I add, so long to rectify and internet connection…..a WIFI service that can be relocated in the store so that the entire store has internet? If this does not work…install a second service! Stars makes enough profit to afford a second WIFI!! 2. Serving is mayhem. To slow, confusion behind counter and people push in as they exit the elevator. Can't a retractable ribbon be installed with "queue this way in THREE languages..Russian, English and Chinese?! 3. By the time a patron gets their coffee it is cold...due to congestion behind the counter and the HOT WATER too cold! Some like it hot...some like it cold! I like mine HOT HOT! 4. This is the most serious complaint! Kids running wild….Climbing chairs walking on the circular cushion with dirty shoes and dirt feet. I give up! I am sure this is McDonalds or KFC..surely not the kind of STARBUCKS where one can sit and enjoy EXPENSIVE coffee in PEACE and quiet. I Is this a children’s playground...or WHAT? Mind you, they don’t drink coffee but take sugar! 5. SMOKING..I don’t know why no smoking signs are not installed? I have to get up and in CHINSWE tell the person BU CHO YAN..and immediately they kill their cigarette obviously knowing they are in the wrong! So many times now I sit down and open my computer and use my own WIFI...but the quiet is soon gone and this is problem persists the entire day...some many times I have packed my computer...called my buddies and changed venue! I have visited many Starbucks internationally and this is by far the worst! I wonder how many other mainland Chinese have come and been disappointed with service? I have seen so many ask about internet, from at kids running wild..and angry because they stand and wait so long for their order! The holiday rush is almost over…then your patrons become the locals! Remember the winter season is short….two months…then the locals hopefully might support Stars. DO something! Thank you! 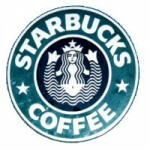 Sydney S.
Please take a note that you are about to post a public review about Starbucks corporate office on CorporateOffice.com. This review will be public, so please do not post any of your personal information on this website. If you would like to contact the corporate offices of Starbucks, please use their contact information such as their phone number, website, and address listed above to contact them. However, sometimes staff from Starbucks headquarters do read the reviews on this website.